Experience the C & C difference. Our commercial care specialists can work with you to manage your environment and meet your needs and budget goals. Don't be fooled by a lower price offer. An inexperienced contractor can cost you dearly down the road. Improperly pruned trees could suffer irreversible damage and necessitate early removal and replacement. Personalized service - Your commercial sales professional is always just a phone call away. We will routinely inspect your property to ensure things are looking their best. Convenient billing options - We can invoice over a level 9 or 12-month billing plan or simply at the end of each month for actual services performed. 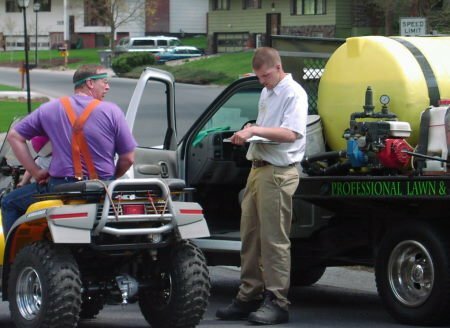 Experience - We have been serving the Spokane area since 1985. 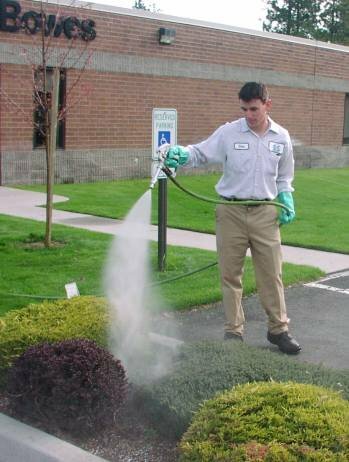 We have experts in each area: Mowing, Pruning, Irrigation, Fertilizing, Weed Control, Tree Care, Snow Removal. Dependable - We maintain a large fleet of vehicles and equipment to service your property quickly, effeciently and professionally. Should a breakdown occur, we are prepared to dispatch another crew to get the job done. Full service care - We provide all service work in-house. From mowing, pruning, sprinkler repair, fertilizing and weed control, tree & shrub care and snow removal. We are your single source solution. We can also provide landscape design ideas for renovation & enhancement.